Since you’ve been a child, you’ve probably heard that it’s important to brush and floss your teeth regularly. And most likely, you are careful to brush your teeth at least once or twice a day. However, you might be one of the millions of Americans who don’t regularly floss. After all, flossing is a hassle, especially if you don’t do it regularly. It can even be slightly painful if your technique isn’t right or your gums aren’t used to the experience. On top of that, flossing is more time consuming than brushing. As a result, many people end up skipping flossing in their dental care routines. This is a mistake, though, as regularly flossing is a big part of avoiding tartar buildup. Everyone’s mouth contains bacteria, and that bacteria accrues on our teeth over time, forming plaque. Brushing and flossing removes plaque, in conjunction with regular visits to the dentist. If plaque remains on the teeth too long, it will eventually harden into tartar above and below the gumline. Tartar leads to gum disease and receding gums. Dental ailments like gingivitis and periodontitis are caused by unchecked tartar buildup, and can lead to bad breath, pain and discomfort, and ultimately to the breakdown of the bones within your mouth holding your teeth together. The bottom line is that tartar is bad news, and you should do what you can to stay tartar-free. The most important thing you can do to avoid tartar buildup daily is to brush and especially floss your teeth. Even if the flossing seems like too much effort and annoyance, stick with it. Simply brushing your teeth doesn’t access the hard-to-reach crevices and cracks in between your teeth and your gumline. 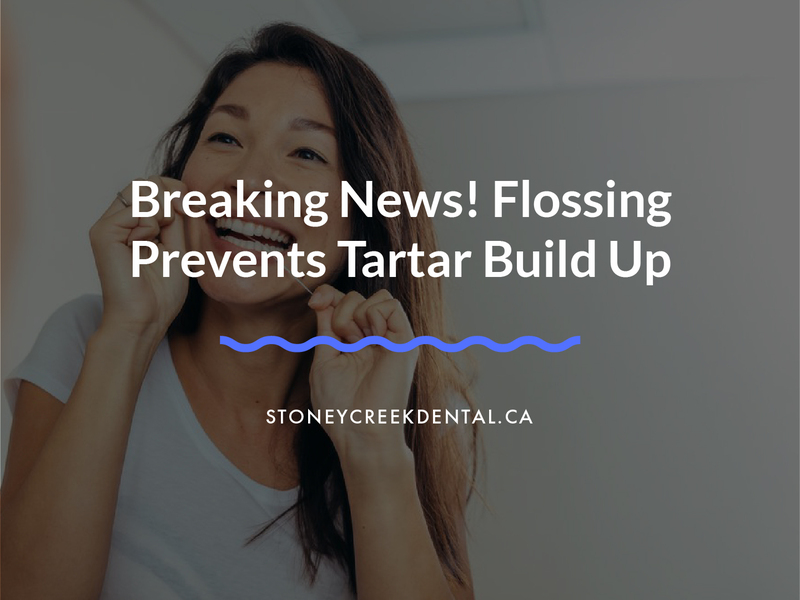 These are the areas where tartar builds up, and proactively flossing regularly is the best way to keep your gumline healthy. In addition to regular brushing and flossing, there are a few other ways you can keep your mouth free from tartar. Buying special tartar controlling toothpaste can help, as can using a daily mouthwash to kill bacteria. Finally, smokers end up with more tartar in their gumlines than non-smokers. So, if you’re on the fence about quitting smoking, maybe preventing tartar might be the final push toward cutting out that bad habit. With vigilant dental hygiene, it’s possible to drastically reduce the amount of plaque on your teeth and check the buildup of tartar. However, once tartar has formed there’s only one way to get rid of it: a dental professional. Only a dentist is able to remove tartar which has built up on your teeth. As such, it’s important to visit a dentist every six months or so in order to get a professional cleaning. If you’re in the Fort McMurray area and looking for a dentist, Stoneycreek Village Dental will suit your needs perfectly. With prompt and courteous service and a commitment to making sure your dental health is tip-top, Stoneycreek Village Dental is the best choice for a Fort McMurray dentist.